Over time, it is possible for roofs to suffer streaks and stains. 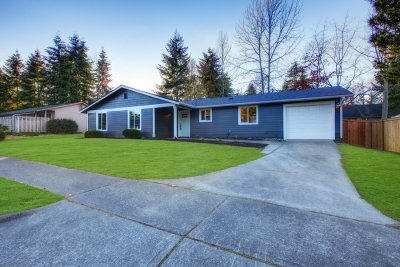 If you are wondering why your roofing near Redmond has developed these unsightly discolorations, then keep reading to learn what might be causing them and how a professional roofer can help. Black streaks and stains that form on asphalt shingles are caused by a mold called gloeocapsa magma , or GM. This mold is a type of bacteria that survives through photosynthesis and feeding on the limestone filler used to make asphalt shingles. 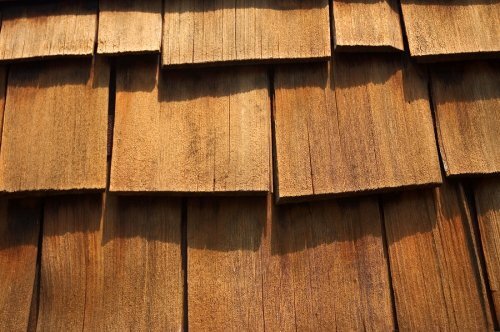 You may be wondering why you never noticed this type of roof stain while growing up. 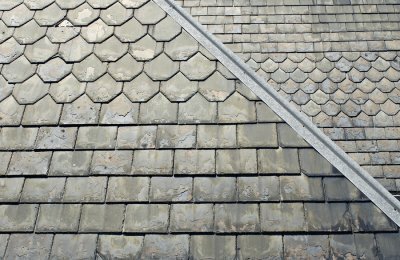 The reason for this is that asphalt shingles were once made of felt and asphalt. Today, this roofing material is created using limestone and fiberglass, which allows the mold to thrive. The staining typically develops on east- and north-facing sides of the roof because the GM enjoys cool, shady areas. There is no consensus regarding the damage that GM may cause to a roof. Because of this, it is generally considered an aesthetic problem. This photosynthesizing fungus grows roots that wrap around the granules of the shingles, making it difficult to dislodge. Because scrubbing and aggressive washing can damage your roofing, professional cleaning is recommended. 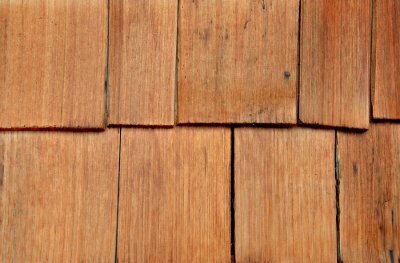 Staining can also be a result of moss growth, which can indeed shorten the lifespan of your roof and should be removed. If you are considering cleaning your roof yourself, then consider some reasons why it is better to hire a professional. First, using a pressure washer or similar device on some types of roofing may damage the shingles and worsen the state of your roof. Second, working on a roof can be quite dangerous and can lead to devastating falls. For these reasons, the best way to handle a discolored roof is to hire a professional roofer. These contractors have the equipment and expertise needed to clean your roof shingles safely and properly. When you ignore your roofing for extended periods and forgo inspections, maintenance, and any necessary repairs, this can allow moss and other debris to build up on the roof shingles and prevent water from flowing from your roof in the way it is supposed to. When this occurs, the accumulated water can damage your roofing and cause the materials to decay, a problem which can lead to leaks and other issues. One of the best benefits that you can enjoy by keeping up with consistent preventive roof maintenance is a lack of repair bills. 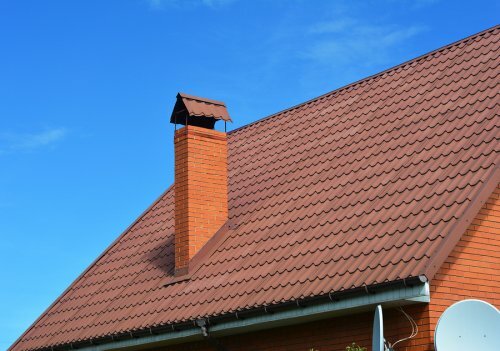 While it can be tempting to wait until something goes wrong to call a roofing company, investing in preventive maintenance can help prevent the need for costly roof repairs and even roof replacement. Like your roofing, your gutter system serves an important purpose and is responsible for conducting rainwater and snowmelt from your roof and away from your home’s foundation. If left to build up, sticks, leaves, and dirt can clog your gutters, a problem which can cause water to back up and cause roof decay, as well as force water to overflow the gutters and pool around your home. Preventive maintenance stops the accumulation of excessive amounts of debris on your roof and can help ensure that your gutters continue working properly. 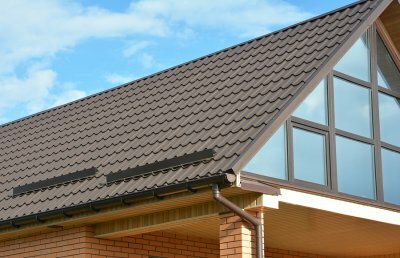 While your roof may not be the first part of your home that you think about when you consider your property’s appearance, it can have a significant impact on the overall look of your home. If you want to keep your house looking good and do what you can to improve its curb appeal and value, then be sure to schedule preventive roofing maintenance. If you are handy with household repairs, it may be tempting to try and fix a broken roof or replace missing roof shingles on your own. However, roof repair can be very dangerous if it is not performed by a team of licensed roofing contractors. Rather than embarking on a roofing project on your own, it is essential to always schedule your repairs with a licensed team of roofing contractors near Redmond . 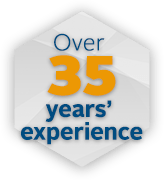 Your roofers will perform your roof repairs in a safe, timely, and effective manner. 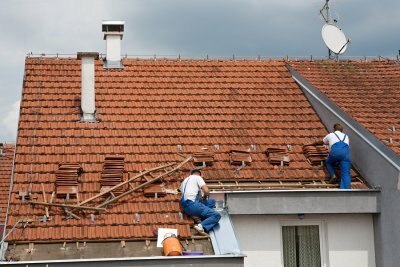 Let’s take a look at some of the top reasons why DIY roof repairs are so dangerous. One of the top dangers of DIY roofing is that performing any type of procedure on a roof comes with inherent safety risks. In order to repair a broken roof, it is necessary to haul roofing materials and tools up to an elevated location. Working on top of a roof could also put you at risk of experiencing a slip or a fall. To protect yourself from roofing dangers, you will want to always hire professional roofers to perform your repairs. In order to become a licensed roofing contractor, a technician must undergo many hours of trainings and certifications. If you try to fix your roof on your own, you may not have all of the knowledge that is needed to repair the issue properly. 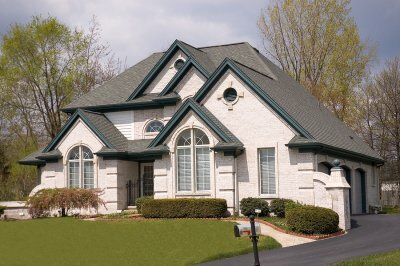 By scheduling professional roofing services, you can safeguard your home against improper repairs. When a roofer installs a brand new roof on your home, there is a high likelihood that your roof will be covered by a warranty. 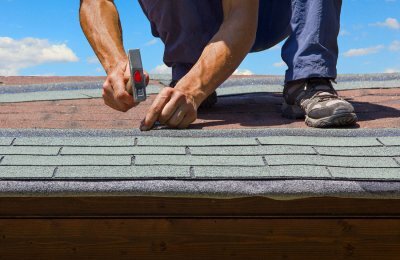 In order to retain the validity of your warranty, you may be required to hire professionals to perform your roofing services. Fixing your roof on your own could void your warranty and cost you significantly on your repairs. Once you have identified the dangers of DIY roofing, you will know to call in the professionals when a roofing emergency arises.